seattle houses 2, originally uploaded by seewhy. 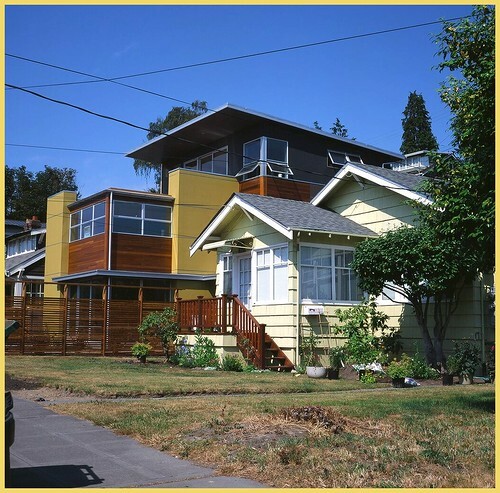 Interesting modern architecture dwarfs the smaller craftsman home in the West Seattle neighborhood of Alki. In-fill is needed, and I don't think it's right to build fake "old homes", but I do think modern builders need to be more sensitive to the scale of the neighborhood and not building the hugest house, just because they can.